Money management skills are an essential lesson that teens should get from their parents. 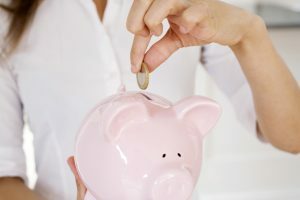 One of the things that parents should take from recent financial situations is that everyone should be a little bit smarter with their money and how they do things. It also means that financial education is important and that we should take the initiative to teach our children when we can. Many schools are teaching children about being financially responsible, but most of the time this is not enough. Or the school doesn’t teach anything at all about financial obligations. Being proactive as a parent can really help you have financially stable and independent children when they are adults. 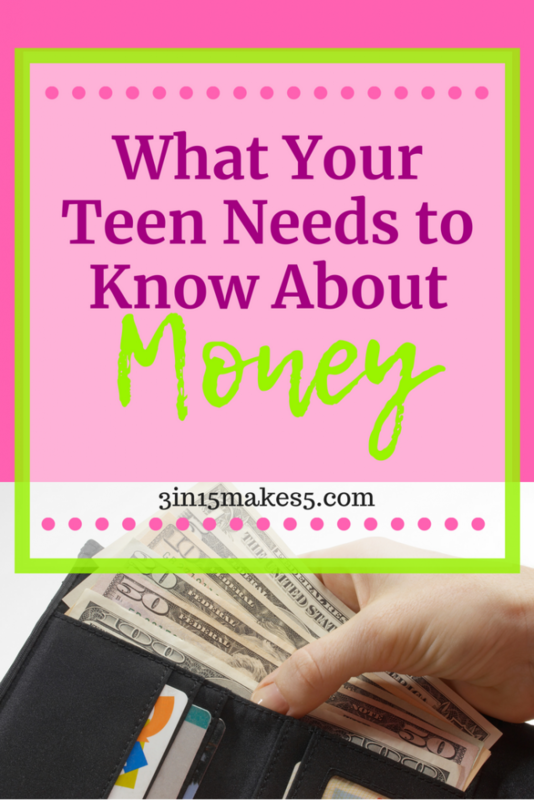 The following post provides suggestions of what teens need to know about money. 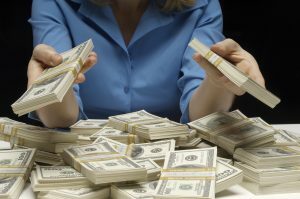 Hopefully, you already have a money-management system in place for your own household. The best way of teaching is to lead by example. Take them with you when you go shopping. Show them how charity can help others in need. 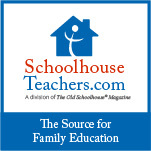 Talk to your child about the advantages of shopping for things that are used. 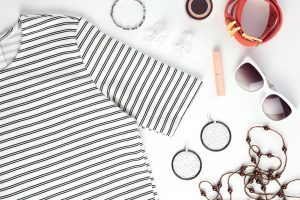 This is a great time to explore vintage fashions as well as showing your child how they can save money on things like books, furniture, and sporting equipment. 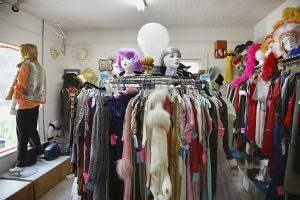 Introduce them to stores like Goodwill, The Salvation Army, or other thrift stores. Go to used bookstores. Or find used items online at sites like Craigslist and eBay. One of the best things to buy used instead of new is a vehicle. New cars are great, but their value depreciates as soon as you drive off the lot. Having a used reliable car is a better option. They are more likely to be able to buy with cash instead of having to get a loan and have monthly payments. 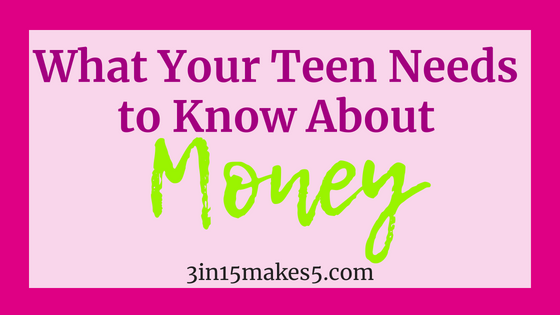 Sitting down with your teen and creating a monthly budget can be difficult. You need to discuss all the different items that need to be paid for each month (rent, food, car, insurance, etc.). They may not be paying for these yet, but they need to realize what will be expected of them. Don’t be afraid to show them your budget, or something similar. Having real-life applications will help them see how to manage their money better than just reading about it. Talk about needs versus wants. You need a roof over your head and food to eat. You want to download a particular song or video or go to an expensive restaurant. Set aside a certain amount that you are willing to spend on clothing for your teens. They may want to blow through all the money in the first week. You need to make sure they realize that this is a mistake. They may not need that $300 pair of sneakers when a $20 pair works just as well. Make a list of items that are necessary. Also, mention keeping some money set aside for clothes wearing out or tearing. Some parents find that teaching their children how to save is the hardest thing that they have to face. Most teens want to spend money as soon as they get it. But, teens need to realize that they should save some of their money (preferably half of what they earn). They may want a car or a computer. Or they already have a car, and it might need repairs. If they don’t have money saved, they won’t be able to get it fixed. Having a “rainy day” fund is important. You could come up with savings goals for your child and offer them incentives to reach those goals. For example, if your teen is challenged to save half of their monthly allowance or paycheck, and they save it, offer to add a certain amount to the savings as well. Think of something that you are trying to budget for the future. Are you planning a vacation? Have them help with planning it out and budgeting. Do they want to redo their room? Have them come up with a plan and set an amount. Let them make the decisions. Make sure they realize that when the money is gone, more will not be given. 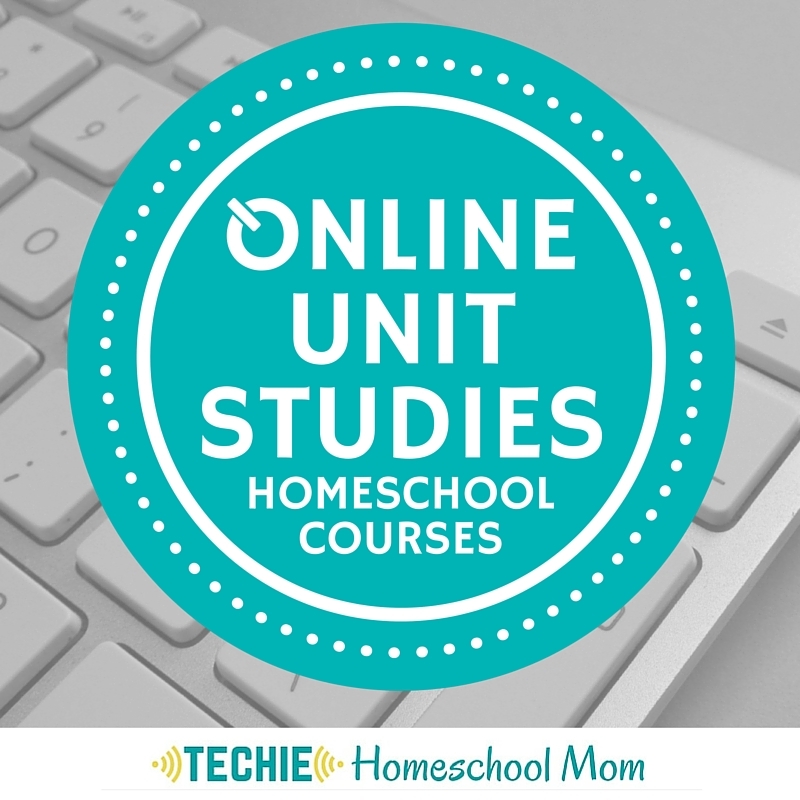 This will help them learn the stages of planning and budgeting. Some parents find that it is right for their teenager to get a job. Others find that this is not the best option because of school or sports activities. Create a plan for your teen to be able to earn money, whether it be a schedule of odd jobs, a summer job, or a part-time job during the school year. You have to determine what is right for your teen and what is right for your family. While it is not a good idea to try and frighten your teens, it is important that they have a realistic understanding of what college is going to cost them. Talk about the different things and explain that parents can only pay for so much (or maybe you can’t afford to pay for it). Also explain that if you are paying for their education, that you might not be able to give them the spending money that they need to go and do things. Offer your teen the information they need so that they know what they have to do when it comes to paying for college. Look at scholarships. Some states even offer dual enrollment, where your teen can go to a community college and get high school and college credits. This is usually paid for by the state. Another thing that you want to instill in your child is that there are times when they should give away some of their money. This could be tithing at church or giving to charity. It is a good idea to talk to your teens and find out what they are passionate about so that they give with an open and willing heart rather than just giving because they have to. Ten percent is usually a good amount to start. They may choose to give more. 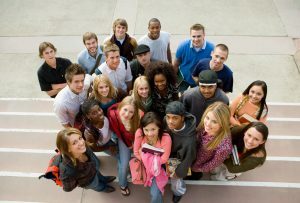 Choosing to teach your teen about money is the best thing that you can do so that your teen is ready to face the world. The values and skills that you teach them in their teens will carry over into their adult life and will help them become financially stable and secure. 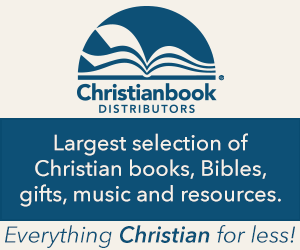 Don’t have Amazon Prime? Give it a try today. We have had ours for three years, and it pays for itself each year. You just can’t beat free two-day shipping (on many items). Disclaimer: This post is for informational purposes only and is not intended as financial advice. Financial advice should always be obtained from a qualified professional. Every possible effort has been made in preparing and researching this material. We make no warranties concerning the accuracy, applicability of its contents, or any omissions.